Zealotry is defined as a fanatical and uncompromising pursuit of religious, political, or other ideals. These days, the word evokes something negative. But many outstanding missionaries have been full of zeal. 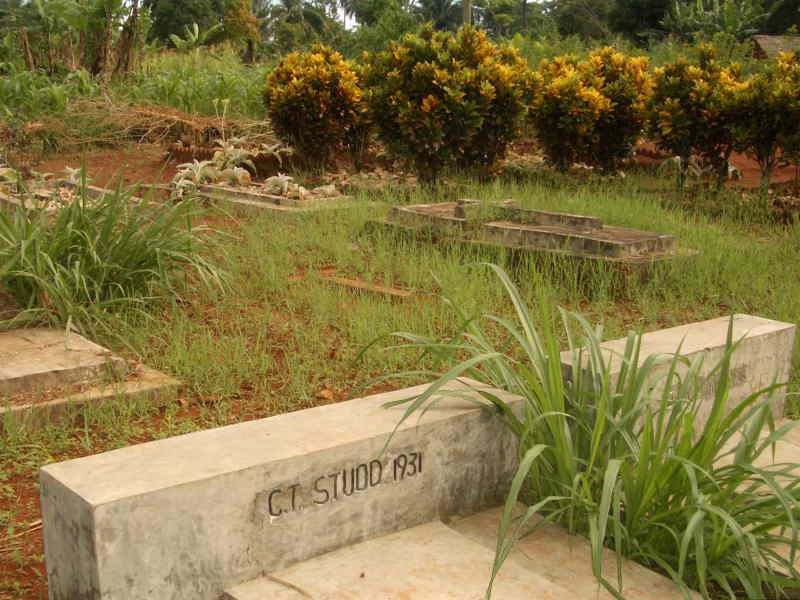 I remember standing at the grave of C. T. Studd in the village of Ibambi in the Congo and thinking of what brought him there – his dogged pursuit of taking the Gospel to the geographic center of Africa. At the time, most missionaries stuck to the coasts as travel inland involved long overland treks on foot. Studd gave up a successful career in cricket for the precarious life of a missionary in the Belgian Congo in the early 20th century, where he died of untreated gallstones in 1931. He was a certain kind of zealot. It was near Ibambi that I first met Siangombe – a frail shell of a man riddled with health problems who had obviously once been healthy and robust. His decline was caused by his encounters with the Mai Mai militia. Their beloved country had undergone more than a century of brutal rule or interference by outside powers, and they wanted it ended. In fact, they wanted to get rid of all outside influence so that the Congo would be pure. Because Christianity came from outside, the Mai Mai opposed it the same was they opposed everything they considered not purely Congolese – violently. 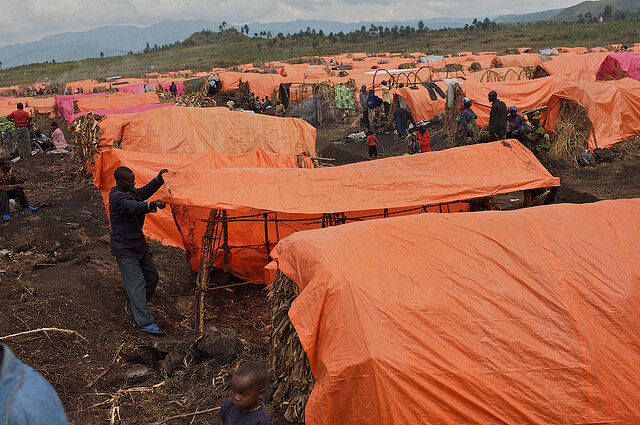 They are willing to hurt and kill others, including other Congolese, to accomplish it. Some Congolese intellectuals defend the Mai Mai because of their unwavering stand against foreign influence, while excusing their atrocities or issuing weak and infrequent condemnations. It is easy to think that evil people have evil intentions, but great evil is done by people with good intentions embedded in a political ideology. With their zealous good intentions embedded in a political ideology, the Mai Mai are brutal even toward people who agree with their basic cause but who disagree with the way they twist it. So poor Siangombe could not avoid Mai Mai wrath even though he too wanted his country to be run by Congolese and according to their wishes. The crucifixion is the opposite of zealotry. God saw people doing evil things to each other, so he sent his only Son to be falsely accused, slandered and even killed. That’s a very different response to the evil in the world than zealotry. In response to man’s inhumanity to man, God hurt himself. Similarly, C. T. Studd’s zeal caused him to sacrifice himself, not punish others. Good Friday is a reminder that God’s approach to evil is not zealotry toward others, and so neither should it be ours. IPA is the International Phonetic Alphabet. It contains a symbol for every sound made in human speech. If you master the IPA, you can literally write down what anyone says in any language whether you understand the language or not. Not only is there a symbol in the IPA for every sound made in any language, the IPA contains the definition of how that sound is made by the human articulatory apparatus otherwise known as your mouth – well actually a bit more than your mouth. 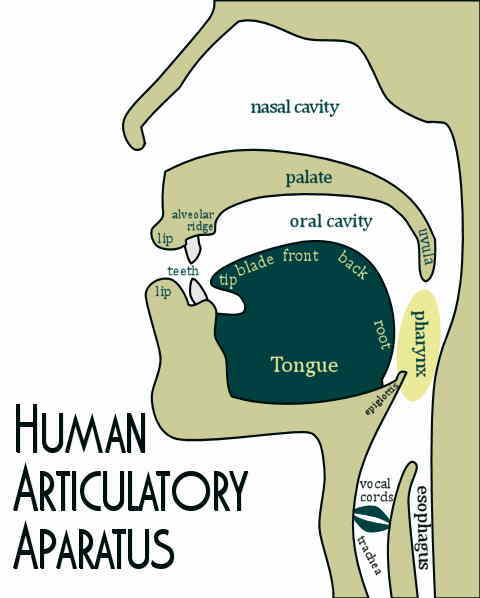 Every sound in human speech can be defined by the position of the parts of the articulatory apparatus. Does the tip of the tongue touch the alveolar ridge producing t or d, or does the back of the tongue touch the palate producing k or g? Do the parts touch and briefly stop the flow of air completely, as happens when you pronounce t, d, k or g? Or do they merely restrict the air flow as happens for s, f, sh and th. Are the lips rounded or not? Do the vocal cords vibrate or not? Does the air come out of the mouth or out of the nose as it does with n, m and ng? All of this is taught in courses on articulatory phonetics and it is described in detail in textbooks. We have abundant and widely-available knowledge of the way the sounds in human speech are made. One of the foundational books on the subject was written by a Bible translator, Kenneth Pike. The process of translating the Bible starts with someone who knows the IPA sitting down with someone who speaks the language to write down words and phrases in the language using the IPA. It sounds like magic – writing down a language that has never been written – but its all described in the IPA and the books about it. Without this bit of human knowledge, writing a language for the first time may prove impossible. I remember this older man in Congo saying that every since he was a child his people had been trying to write down their language without success. Oh, those who had been to school in French (the official language and the one taught in school) could write, but they couldn’t really figure out how to write some words. Also no one could read what they wrote. After a few weeks, not even the person who wrote the words could make sense of them. Decades went by. Then a few months work by a missionary trained in descriptive linguist and the problems were fixed. The old man said he was thrilled, and that he was finally confident that the translation could now move ahead. In fact, with the training given to the local translators, he said that the translation could succeed even if we missionaries left. This was not the first time I have heard Africans tell of their repeated failed efforts to write their language. Some have even mistakenly concluded that their language could not be written. Then, decades later, a missionary linguist solved the problem in relatively short order. This happened so often in one area that I heard leaders of the biggest church in the area tell churches in other areas to be sure and ask for missionary linguists. Bible translation is a spiritual ministry, but the science of linguistics sure helps, especially when it empowers local people. 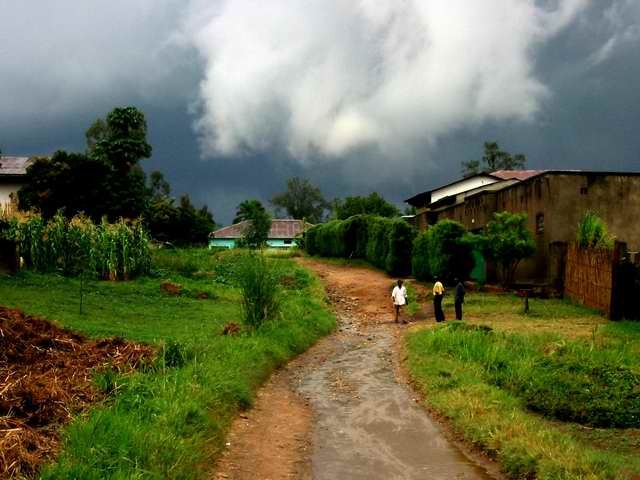 On one of my trips into Congo, I found myself in the city of Kisangani over a weekend. One of the church leaders I was working with suggested that I attend the French language worship service at his church. 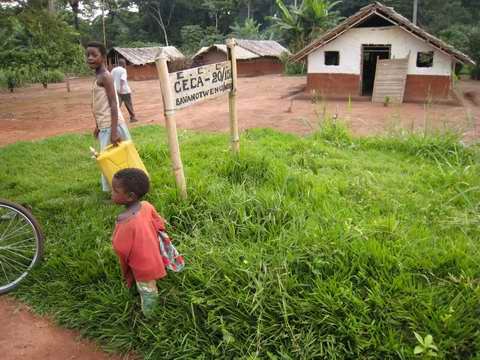 (French is the official language of Congo, spoken by under 15% of the people. Everyone speaks one of the 220 African languages native to the country.) It is quite common for churches in Africa to have multiple services on Sunday in different languages with one of them being in the official languages of the country (French, English or Portuguese). I was disappointed. Instead of finding a vibrant congregation of government officials and others with good education, the congregation was composed of 20 or 30 high school and university students. They were not in a French language service because French was their preferred language for prayer and worship. Instead, they were in a French language church service because French is prestigious and they wanted to display that they were part of the educated elite. The thing is, they didn’t master French that well, so they had the opposite effect on me, although they were certainly impressing themselves. It is easy to think that language is about communication and so in every circumstance where there is a choice between languages, people will choose the language most likely to communicate. Sociolinguists will tell you that this is not so. Living in a places where many languages are spoken has made me acutely aware that language choice is often not about communication. The young students in Kisangani that Sunday did not choose French because it communicated best, or because it helped them express their thoughts and emotions best. No, they choose French because of its prestige. Communication, if it was a consideration, came a distant second. 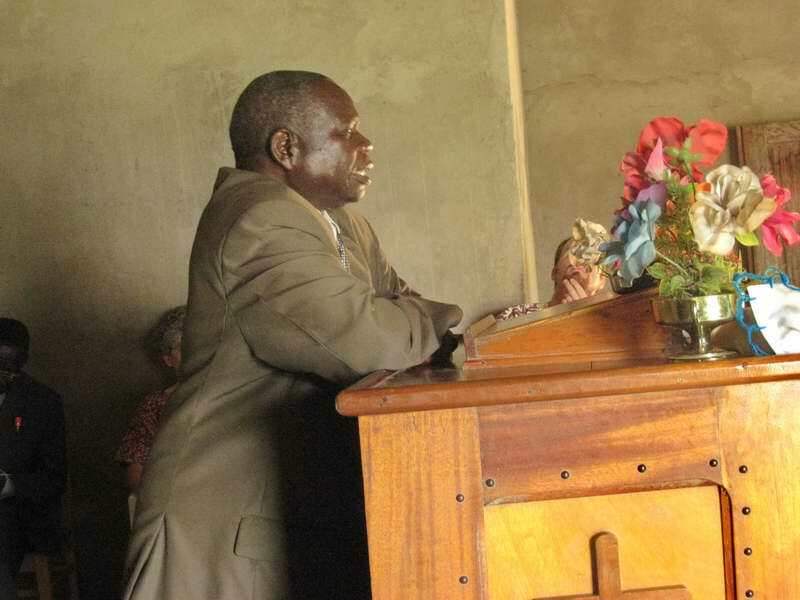 I have seen young pastors returning from Bible School or seminary preach to people in their own village in the official language even though they know that few understand it. Why? Because preaching in the official language shows that they are well-educated. People choose one language over another to help them accomplish their goals. If their goal is to communicate, they will choose the language that communicates best. If their goal is to lift up, encourage and empower others, they will choose the language that does that. In many contexts English (or whichever language is the official language) is the power choice, not the meek choice. It is the choice lacking compassion for the listeners, not the merciful choice. It is the choice of those wealthy in spirit. 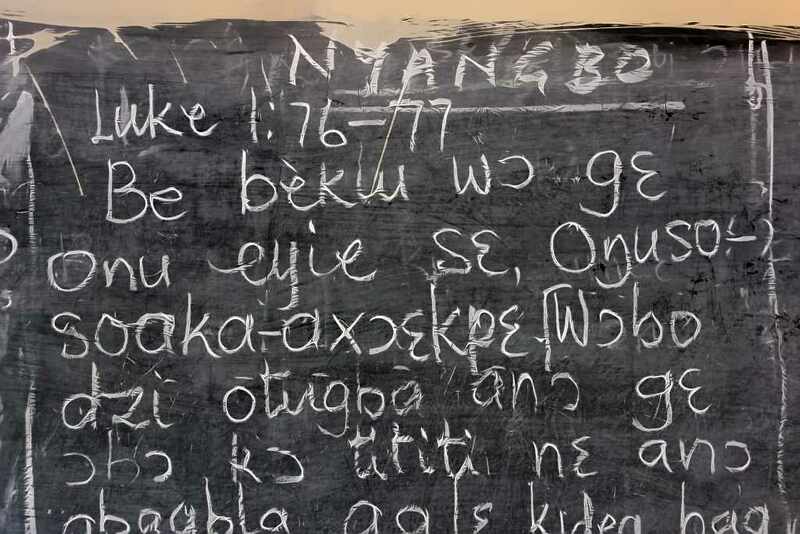 Three weeks ago, I introduced a series of blogs on the rationale for translating the Old Testament into the languages of Africa. As I stated in the introduction, there are a number of good reasons to translate the Old Testament. I am limiting myself to one proposition – that God has revealed himself in the Old Testament in ways that give his comfort, encouragement and instruction for many of the most burning issues facing African Christians, while the New Testament has little to say on those issues. Last week, I dealt with the issue of corrupt oppression. This week, my topic is ethnic tensions and rivalries. Some people think that Africa is full of ethnic conflicts. (They are sometimes called “tribal conflicts”, but the word “tribal” is inexact and out-of-favor, so I will used “ethnic” in place of “tribal” and “peoples” or “ethnic groups” in place of “tribes”.) But most of Africa’s almost 2000 peoples live peacefully with each other year in and year out. This is not to say that there are not tensions and rivalries between them, but it does mean that they don’t escalate to conflicts. The rivalries between neighboring ethnic groups are not purely ethnic. Instead they are usually about resources such as land, jobs, water, cattle, political favor or even just respect. Most Africans rub shoulders every day with people of different ethnic groups. Those relationships are cordial. They know that there is always potential for escalating ethnic rivalry into conflict through careless action or words. As in all places, there are sometimes a few hotheads who stir things up and some people ready to follow them. After the division of the humanity into male and female, the next most noticeable division is into race and ethnicity. Yet few books on Christian theology make any mention of ethnicity or race. They may have a whole chapter on what the Bible teaches about human beings without hardly a mention of race or ethnicity. This is in spite of the fact that a word laden with ethnic connotations – Goy – is used throughout the Old Testament and another with similar connotations (εφνοσ ethnos) is used throughout the New, and in spite of the fact the Bible is full of ethnic conflict and rivalries, especially the Old Testament. As I mentioned in an earlier blog, the Old Testament tells the story of hundreds of years of ethnic conflict between the descendants of Abraham and the Philistines. That conflict ebbs and flows throughout the books of Samuel, I Kings, II Kings, I Chronicles and II Chronicles. Furthermore, the conflict with the Philistines is not the only ethnic conflict in the Old Testament. 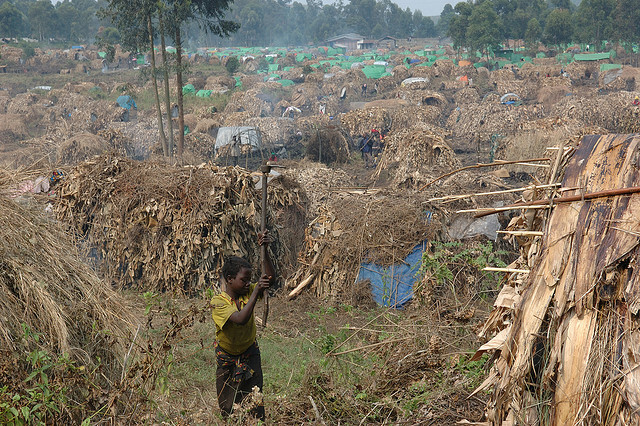 In the 1990s, an ethnic war had engulfed the town of Bunia in northeastern Congo. The town would switch hands from one side to the other, causing those belonging to the other ethnic group to flee or risk facing acts of ethnic vengeance. Perhaps I need to say something about this ethnic war and most such conflicts. Those actively taking part in ethnic conflicts are usual only a small minority from each ethnic group. Rather, some members of each ethnic group formed a militia composed of people from that ethnic group. Those militias had varying degrees of support from the people in that ethnic group. Some gave active support while many remained passive, and others tried to stay neutral. Some even covertly helped people from the other ethnic group, and a few openly opposed the militias. The militias sometimes killed or harassed people from their own ethnic group who opposed them, aided the other side, or who tried to stay neutral. I know one pastor who was targeted for assassination by people from his own ethnic group (and his own church!) because he took a meal to a member of his church from the other ethnic group who was in prison. They perceived his action as aiding and abetting the enemy. Bunia was also the place where a translation of the Old Testament into the language of one of the opposing ethnic groups was taking place. The New Testament had been published a few years earlier. One day, the son of one of the translators disappeared. When his body was found some days later, it was obvious that he had been tortured and mutilated before dying. The translator buried his son knowing that he had suffered greatly merely for belonging to his ethnic group. The translator is an expert in the Old Testament, having gained a doctorate in that topic at a university in the Netherlands. So he was well acquainted with the ethnic conflicts recorded in the Old Testament and what God says about them. The translator is also a member of a church with members from both of the warring ethnic groups. By God’s grace, he found a way to keep fellowship with believers from the other ethnic group who were members of his church. None of the ethnic groups involved in this war had the whole Bible in their language. I find that fact pertinent. The fact that ethnic rivalries are a part of life is an excellent reason to translate the Old Testament into more languages in Africa. It just might help Africans create a more harmonious continent. 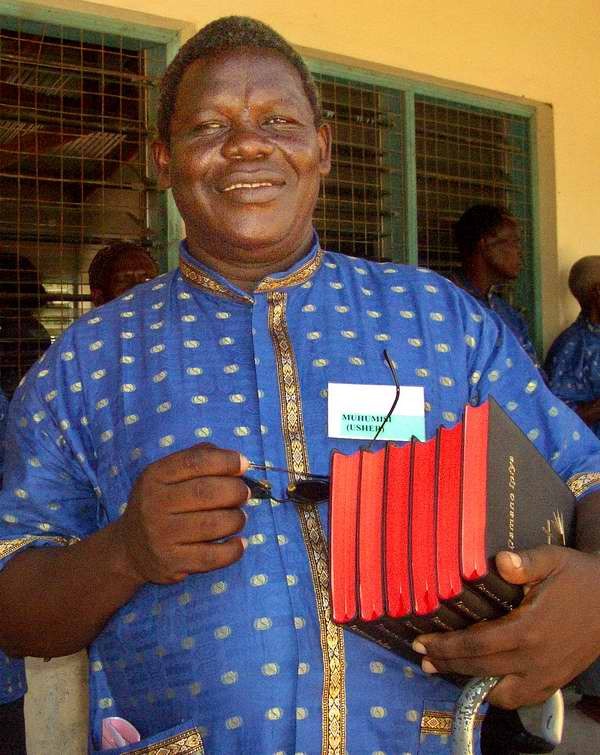 As a matter of fact, a Ghanaian researcher, Dr. Solomon Sule-Saa, studied the impact of translations of the whole Bible into languages in northern Ghana where ethnic tensions regularly broke out into conflict. He found that the translations contributed greatly to peace and reduced tensions. When one ethnic group gets military dominance over another, the underdog can feel that God has abandoned them. A mostly Christian ethnic group can feel that God has cursed when they are overtaken by another ethnic group with few Christians. But the Old Testament refutes the conclusion that God abandoned them or cursed them because in its stories Israel was many times under the military dominance of others. That situation may have been God’s correction, but it was never his abandonment or curse. So why translate the Old Testament? Because it gives God’s counsel about ethnic tensions and conflicts to people who desperately need it, whereas the New Testament says little. We live in this world, but we don’t act like its people or fight our battles with the weapons of this world. Instead, we use God’s power that can destroy fortresses. When our reaction is the same as the people of this world, we need to stop and pray. Are we deploying God’s weapons – prayer, missions and evangelism? Has our concern for safety and our way of life overwritten our faith? Are we following Jesus’ approach to personal safety? When we are back in the US for a short stay we get asked if we are safe. In some ways, it’s an impossible question. 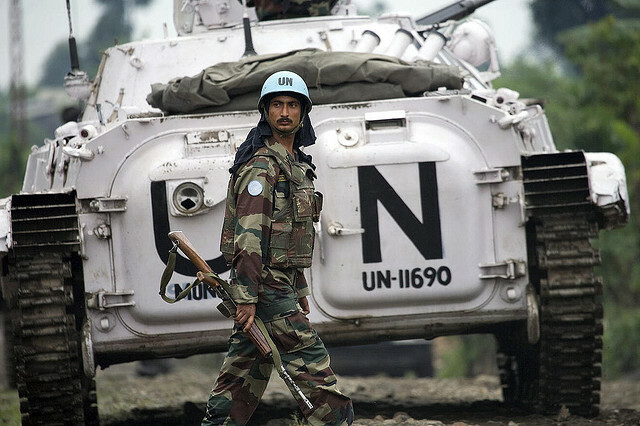 For a while, Dayle and I worked in the Democratic Republic of Congo, just at the end of a civil war that claimed more civilian lives than any war since WWII. I flew into airstrips controlled by rebel forces where very young soldiers greeted us with assault rifles. I had a drunk soldier with an assault rifle stop us and use his weapon to extort a little money from us. A missionary in the area was recently shot by bandits. Was I safe? Well, I’m writing this! Is being safe what actually happens or is it the degree of threat I feel? People who feel perfectly safe end up dead or maimed every day. Every day, people who fear for their safety with good reason finish the day alive and well. Which of them was really safe? Was it safe to go to the Congo? I’m not sure. Did God keep me safe in the Congo? Obviously. I trust in the Lord for protection. “Fly like a bird to the mountains for safety! 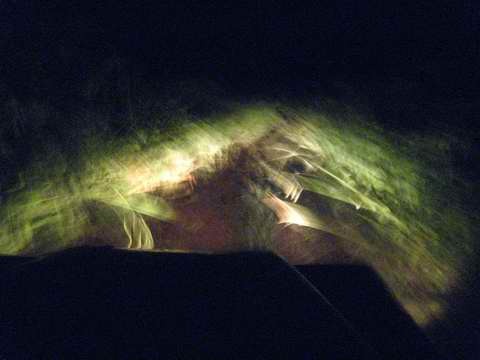 In early 2009, Dayle and I were traveling into Congo. 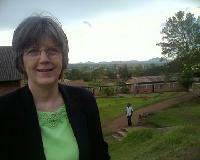 Our first stop was at the Shalom University of Bunia. When we arrived at the Bunia airport, we found that the university had sent a driver for us. Dayle introduced herself to the driver and asked him, “Who are you?” He responded, “I’m the driver”. But Dayle, of course wanted his name so she asked, “But what is your name”. “Bahati”, he responded. A few minutes later we were on the campus of the university conversing with some of the professors. We saw the Rector’s wife coming, who we know well and who is a close friend of the families of the professors we are taking with. One of them says, the Rector’s wife is coming. Dayle looks up and says, “Oh, its Feli!”. Note that in this story Dayle prefers calling people by their names, but the Congolese prefer using titles like “driver” and “rector’s wife”. Congolese and many other Africans prefer titles over names. The wife of the most prominent MAF pilot in Bunia is known as “Mrs. Pilot”. The staff of the University almost always call each other by a shortened form of their title. So they are “Rector”, “The Academic” (for the academic dean), or “The Administrative” for the Administrative Secretary. When we lived in Burkina Faso, I was known up and down the street we lived on as “Matthieu baba” – “Matthew’s Father”. Everyone knew who Matthew’s father was, but few knew my name. Men there are often there are known as the father of their oldest son. Just the other day, a police officer in Ghana addressed me as Obroni – white man in Twi. He was not being smart or demeaning, just friendly. To my American ears, titles sound formal, aloof or demeaning. Calling someone “White Man” even sounds bizarre. But to many Africans, titles are completely natural. Plus, the preference for titles gives them an edge in understanding some parts of the Bible. “Jesus the Christ” makes a LOT of sense to them because Christ is a title, not a name. But many Americans understand Christ as a name. Not a few missionaries in West Africa have been irritated by being called “White guy”. 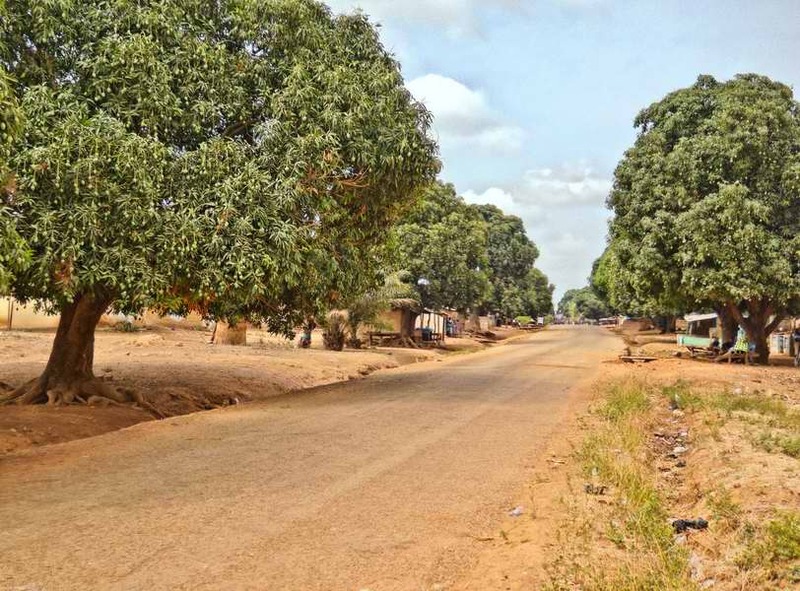 When we first arrived in Burkina Faso, we used to be irritated by the incessant cries of Toubabou (white man / white woman in Jula) or Nasara (same in Moore). I have even found blogs by Westerners living in Ghana telling their experiences with being called “White”. I just followed the case of two missionaries figuring out how to deal with always being addressed as “Whites”. At first they were irritated. But after getting advice from other missionaries and local people they trust, they got some degree of acceptance. Better, they started using titles more themselves. When in Rome, do as the Romans – or when in Ghana don’t do as an Obroni. Parts of this blog post were taken from a post originally published in April 2009. 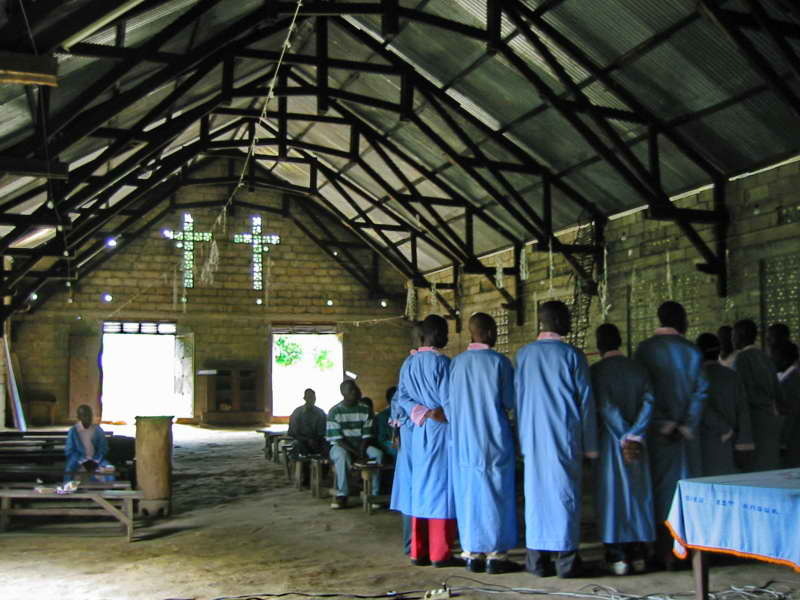 In January 2003, I spend a week in the Congolese town of Ariwara helping at an event to help Christians better use the Bibles in their languages. The town had electricity in the evenings but few houses had electric meters. So billing was based on the number of light bulbs in the house – the equivalent in local currency of $2.25 per bulb per month. I was reminded of that because many Ghanaians call electricity “light”, as in “there is no light”, probably because for many people of modest means, light is the principle use of electricity. Here are some photos of the event in Ariwara, which unexpectedly garnered almost 700 participants. There are two airstrips in Wamba, but in 2007 neither had been maintained. I had to meet with church leaders to get their input. That meant traveling the 66 miles by road, well, sort-of road. 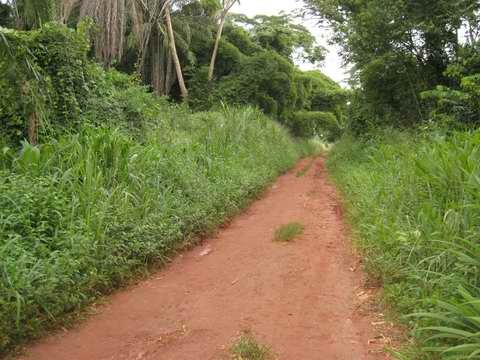 The forest and its rains had taken advantage of years of civil war and resultant neglect to almost reclaimed the space once occupied by the road. What had once been a pretty good improved dirt road was now a rutted, rocky, muddy and lumpy track. We did not have a vehicle. A local development agency would rent us a solid Land Rover with driver. Scarcity had driven up fuel prices. So it was going to cost me over $500 to rent the vehicle for two days and 132 miles. It would have been cheaper and faster to fly. As soon as we hit the outskirts of Isiro we ran into eroded slopes and muddy holes. We crawled along. Three hours into the trip we had not yet covered 20 miles. Fortunately the road got better and soon we were zipping along at 20 even 25 miles an hour, slowing for holes, ruts and large pools of water hiding under huge bamboo stands hanging over the road. I put a lot of physical and mental energy into steadying myself against the unpredictable movements of the vehicle. A noise from the engine brought us to a halt. 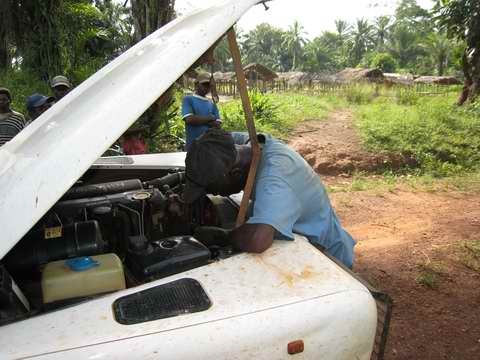 This is where the Congolese practice of hiring a mechanic as a driver proves its wisdom. He was able to get us going but there was still a noise. He would make full repairs in Wamba. We stopped to visit a little church in a small hamlet. Probably a missionary had never preached here. Certainly one had never lived here. 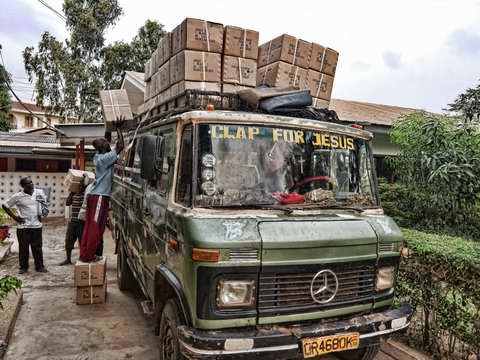 Like most churches in Africa, it had been started by African believers. It was a reminder that African believers have taken their faith to the most remote places where they worship the Highest One in very humble surroundings. We spent six hours in roll, pitch and weave before we reached Wamba. The plan was to meet with the church leaders for 4-5 hours the next morning then drive back to Isiro in the afternoon. But after the morning meeting, we found that our faithful driver-mechanic had the noise-producing parts of the motor taken apart. Better to wait and get it fixed. The driver got the vehicle back together at about 6 PM and after an hour of testing declared it repaired. I had to catch a MAF [www.maf.org] flight out Isiro at noon the next day, so we set off to make the journey at night. The bad news? It is impossible to sleep in a vehicle that is being tossed and rolled in unpredictable ways. The good news? The road was so bad that we could go just as fast (meaning slow) at night as during the day. Whenever I got in a small airplane with a missionary pilot in Congo, I remembered that road trip to Wamba and I thought about the days I would be spending, the back I would be wearing out, and the extra money I would be spending if this plane and pilot were not provided. In fact, translating the Bible would cost more and go slower without those planes. Thank you to all those who support the MAF, JAARS and other pilots and mechanics and those who give toward the purchase of the airplanes. I love the impact you have including the fact that I suffer a lot less impacts. This phenomenon, of people “hearing everything in their own languages”, has been accelerating. 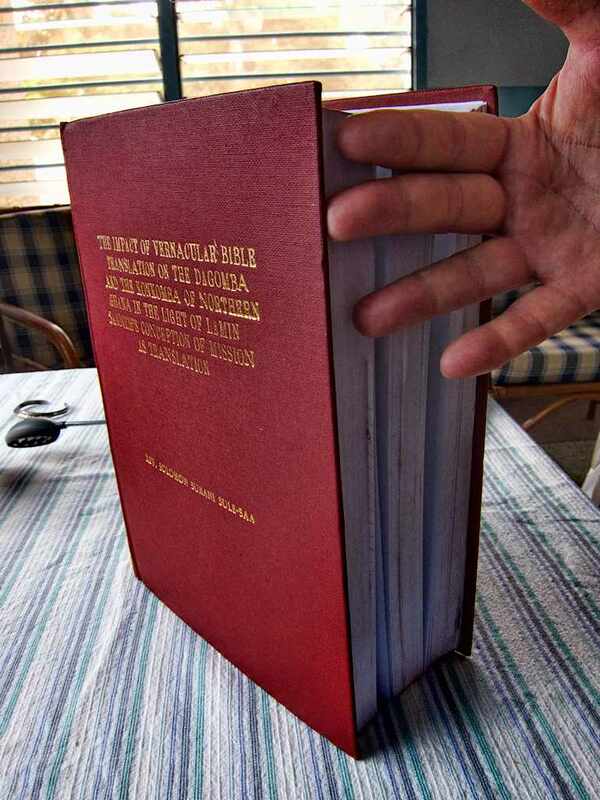 In 1900, The whole Bible or some part of it had been translated and published in 530 languages. By 2000, that had increased to 2,298. 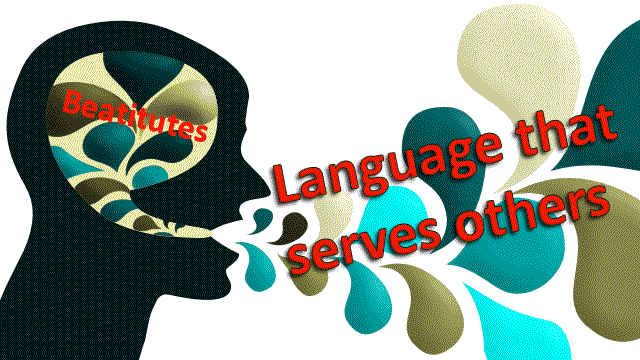 That is an increase of 1,768 languages – a rate of a new languages every three weeks for 100 years! Since the year 2000, the rate has increased further, jumping from 27 languages per year to over 70,” which amounts to a new language every 5 days! That is not as dramatic as if it happened on the same day and at the same place, like it did at the festival of Pentecost. Instead, today we have a slower-motion Pentecost. But, unlike the event being commemorated this Sunday, it is spread over the world. What the new, slow-motion Pentecost lacks in immediacy, it gains in geographic spread. African Christianity today is inconceivable apart from the existence of the Bible in African indigenous languages. At the narrowest level, we have the statement of people. At that festival of Pentecost many years ago, they were surprised, excited and amazed at “hearing everything in their own languages.” The slow-motion Pentecost of our day calls for that same response. It’s time to be surprised and amazed and to get excited. If you liked this, you might also like The day tribal ended. I am very interested in what enhances, and what inhibits, the impact of a program to translate the Bible into a language in Africa. A while back, I was reading an evaluation of the impact of a translation of the Bible done in Ghana, for the Chumburung language. It was very interesting, but one thing puzzled me. 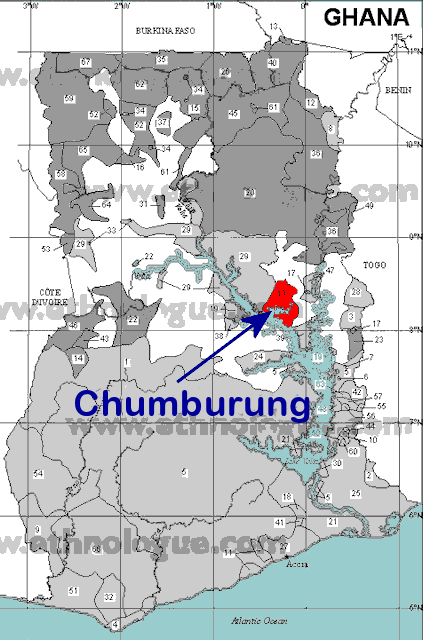 The researcher doing the evaluation used the year 1989 as a baseline because that was the year the New Testament in Chumburung appeared. The Old Testament came later. But the translators started work on the language in 1972. So a period of 17 years (1972 to 1989) is left out of the evaluation. Presumably because the evaluator thought that the impact would start with the publication of the Bible. 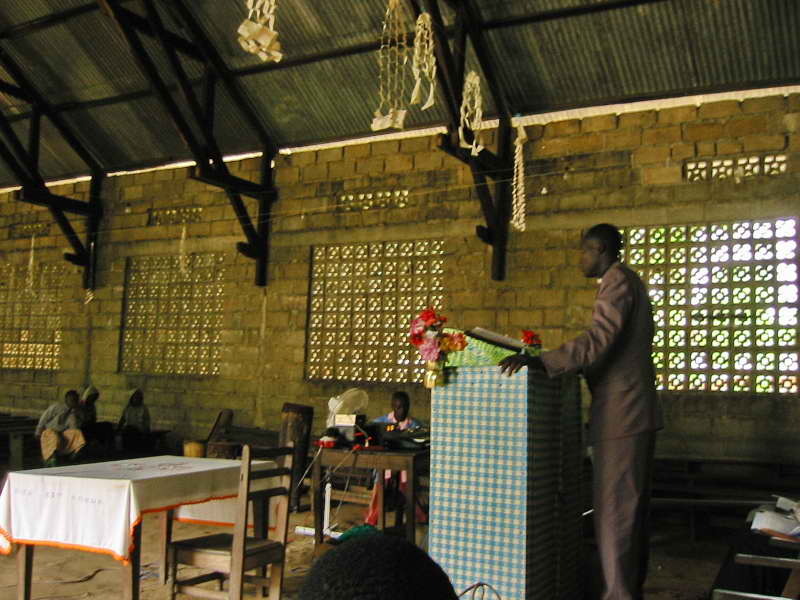 Bible translation is a long-term endeavor with long-term impact. Still, 17 years before seeing the first benefit seemed way too long. 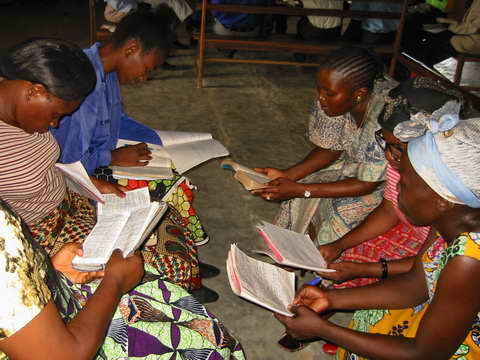 In Congo, one group was under a tree practicing reading various parts in preparation for the recording of the Jesus Film. A crowd gathered to listen to the practice. Some people came to faith and one person who had left the church and Christian life repented and renewed his faith. Too often, missionary translators have seen the positive impacts of the translation process as wonderful by-products – encouraging ‘accidents’, but they make few, if any, planned or systematic effort to use the translation process itself to impact the community. In fact, some might consider that a distraction. [We] went out on the dusty streets of Yokadouma to test it out. And before we knew we had gathered a crowd – they were all excited to hear the Word of God in Mpumpong! The people shared what they had heard, what it meant and what they thought about it. 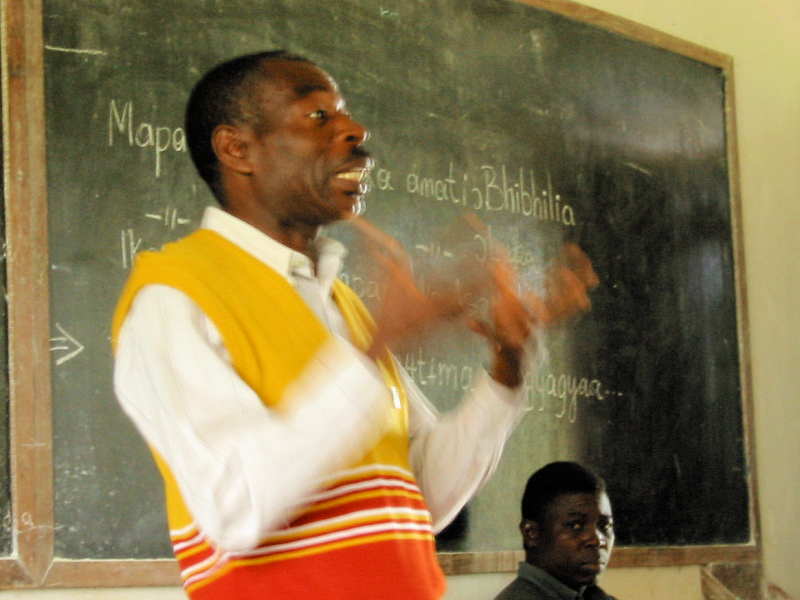 Planning and implementing immediate use and impact into translation programs in Ghana is one of Ed’s tasks.